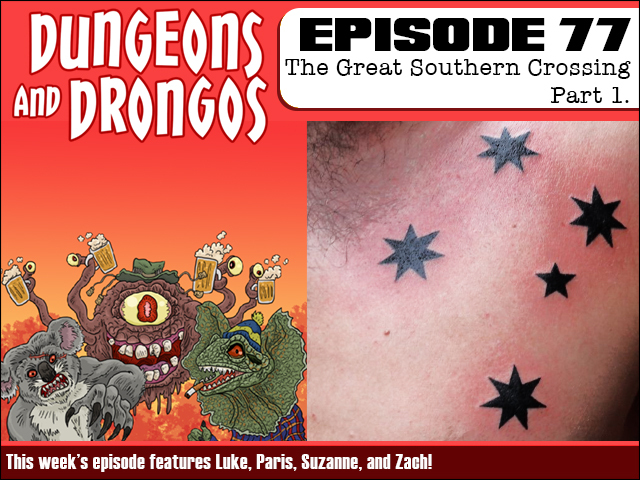 Dungeons and Drongos: Dungeons and Drongos Episode 77: The Great Southern Crossing, Part 1! Dungeons and Drongos Episode 77: The Great Southern Crossing, Part 1! This week the team answer a very unlikely cry for help and end up attempting to eradicate a bogan infestation. But are the bogans really the ones who need their help as they begin to mysteriously vanish across Fantasy Australia? It's Dungeons and Dragons but it's Australian, cobber! SUBSCRIBE to us on iTunes - because we do this every week! Please support our new show by rating/reviewing and sharing our content. And why not join the discussion in ourfriendly Facebook group!? 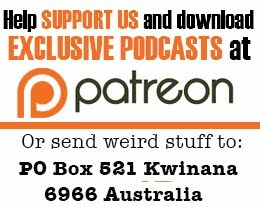 Or even go hog wild by subscribing/supporting us on Patreon!